The Dendi are located in the northernmost region of the country, mainly in the lush plains of the Niger River. Some of the Dendi live in the high grass areas, where there is little water and sparse vegetation. 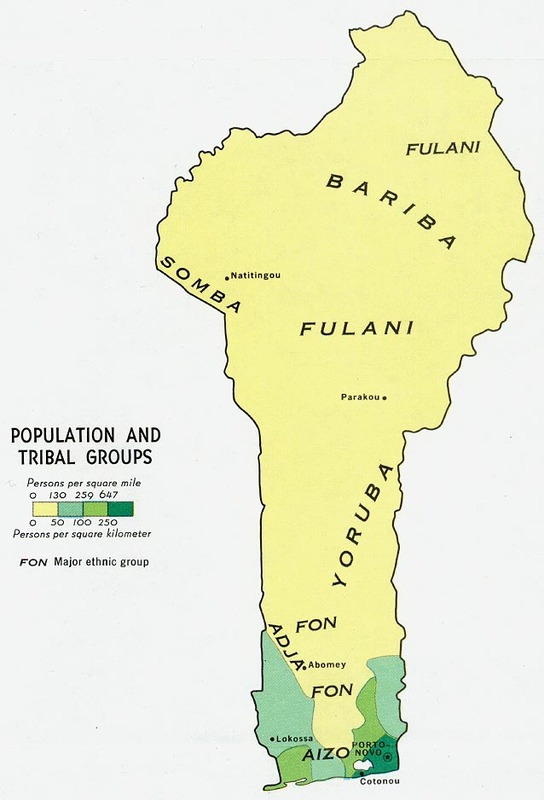 Sizable Songhai communities can also be found in the nearby countries of Nigeria, Niger, Burkina Faso, and Mali. All of the Dendi and Songhai trace their origin to the eighth century kingdom of Za. Islam was embraced as early as 1010, but it was mixed with their original beliefs in spirits of the river, soil, and wild game. The Za dynasty endured to the end of the sixteenth century, when it was conquered by the Sultan of Morocco. The Dendi are one of approximately 65 ethnic groups in Benin, the least evangelized non-Muslim country south of the Sahara. This small country is considered to have the highest percentage of ethnic religionists; however, the Dendi remain majority Muslim. Dendi settlements usually consist of round, mud or thatched dwellings with straw roofs. Today, an increasing number of villagers live in rectangular mud brick houses with corrugated tin roofs. Dendi settlements along the Niger River contain many rice fields and garden plots. Villages farther from the river are surrounded by bush areas and cultivated fields. Cowpeas, groundnuts, and manioc are the usual crops, but millet is grown from June to September during the brief rainy season. Farming is considered noble labor among the Dendi and is for men only. The women have gardens in which they grow mangoes, guavas, citrus fruits, papayas, dates, and bananas during the hot, dry season. They also cultivate carrots, tomatoes, peppers, cabbages, and various types of squash. Most of the garden work is done by family members. In addition to farming, the Dendi also raise some livestock. The village community is patrilineal, that is, all the men have a common male ancestor. Among the Dendi nobles, firstborn sons are pressured to marry their paternal uncle's daughter in order to maintain the purity of the lineage. Men marry while they are in their late twenties; whereas, girls marry while in their early teens. Whether the marriage lasts or not, all of the children belong to the husband's lineage group. Although the Islamic law allows a man to have up to four wives, most of the Dendi men have only one, due to economic reasons. When there is more than one wife, each lives in her own separate dwelling within the extended family compound. The Dendi are almost entirely Muslim. Even though Islam introduced new elements to the Dendi culture, it left the underlying framework of custom and tradition virtually untouched. Islam is superficially important - every town has a mosque, or at least a Friday mosque. Some communities have imams (religious leaders) who teach Islamic philosophy, and Muslim ceremonial activities are frequently practiced. Spirit possession, magic, sorcery, ancestor worship, and witchcraft, however, remain the vital components of Dendi belief. Most of the villages have possession troops, magician-healers, and witches. In some places, ceremonies of spirit possession occur at least once a week. The most important ceremonies are the genji bi hori (a festival in which the Dendi make offerings to the "black spirits" believed to control pestilence) and the yenaandi ("rain dance"). Both of these are held in the dry season. Marabouts (Islamic holy men) lead community prayers but are also used in healing the sick. Generally, the Dendi live simple but adequate lives, except in times of drought. Unfortunately, these occur regularly, leaving many children as orphans. Malnutrition is also a problem for many of them. Christian medical teams and humanitarian aid workers are needed to minister to the physical needs of the Dendi. Currently, there are some Christian resources available in the Dendi language. A majority of these precious people have not heard a clear presentation of the Gospel. Prayer is the key to seeing them reached for Christ. * Scripture Prayers for the Dendi, Dandawa in Benin. * Ask the Lord to send Christian agricultural workers, educators, and doctors to minister to the physical needs of the Dendi. * Pray that Christian radio broadcasts and evangelistic literature will be made available to the Dendi. * Ask the Lord to save key leaders among the Dendi who will boldly proclaim the Gospel. * Pray that God will strengthen, encourage, and protect the Dendi believers. * Ask God to raise intercessors who will faithfully stand in the gap for the Dendi. * Ask the Lord to bring forth a strong Dendi church for the glory of His name!